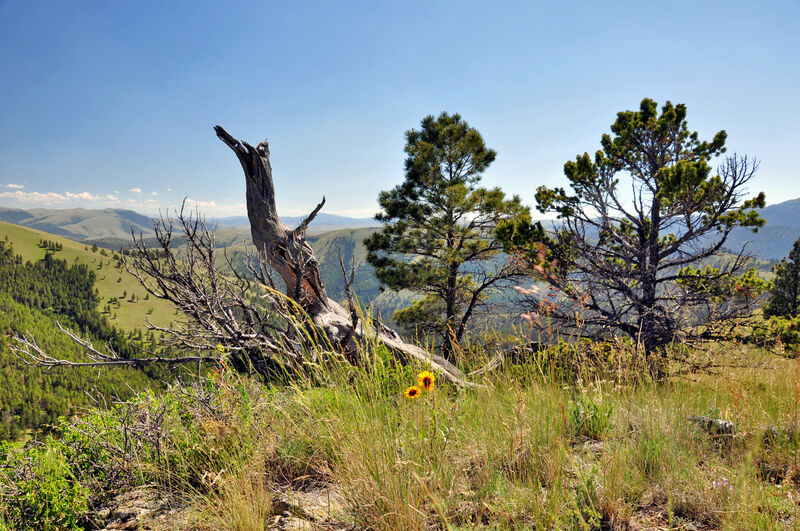 The Lynx Trail Retreat offers 160 acres of mountain solitude with impressive vistas, resident wildlife, and easy access to world-class fishing on the Missouri River. 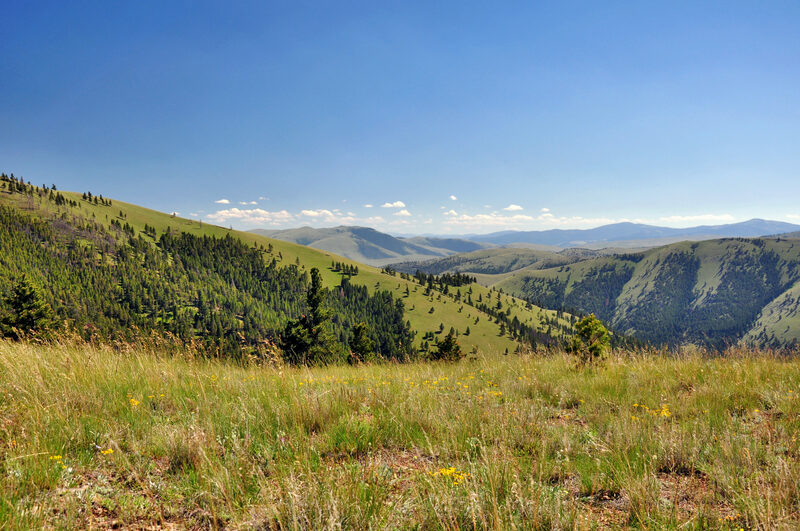 Nestled in the Big Belt Mountains, the Property is located approximately 10 miles south of the charming ranching and recreation community of Wolf Creek and about 30 miles north of Helena – Montana’s capital. The gateway to Lynx Trail Retreat is framed by the striking beauty of the Prickly Pear Canyon. 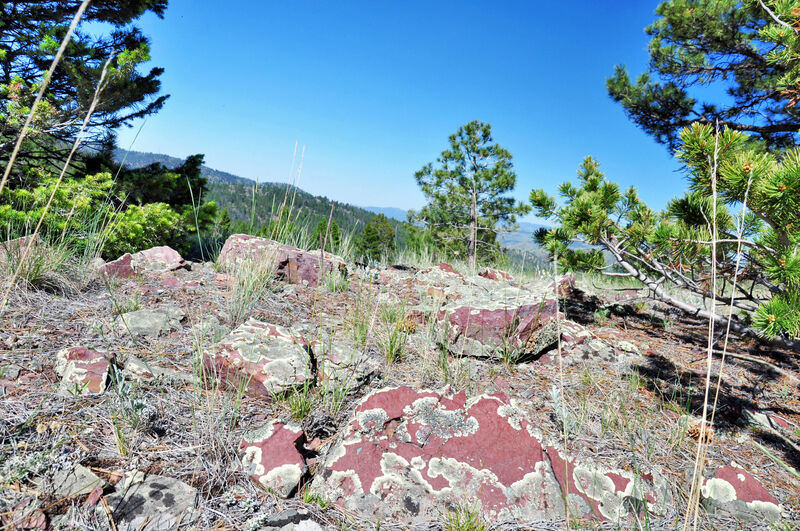 The dramatic geology features vibrant red and green sedimentary shale over 500 million years old that towers over the creek and old railroad grade. 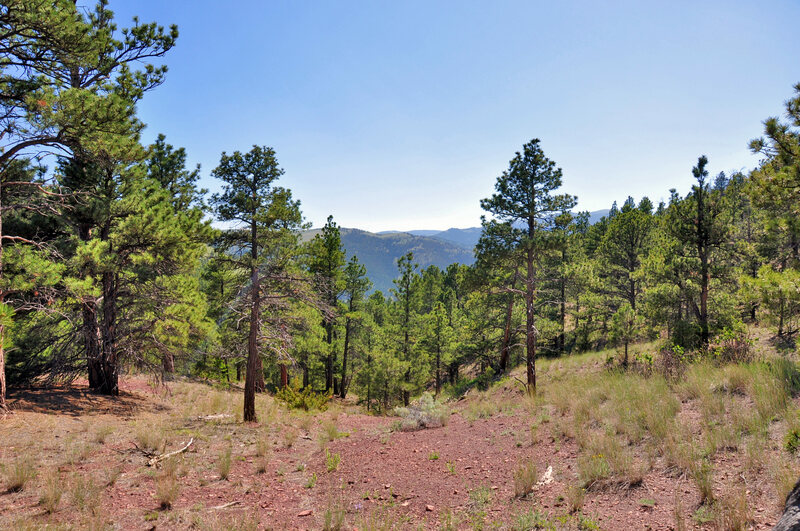 The Property is easily accessed off of Interstate 15 and then via a well-maintained gravel road for approximately 3.5 miles that winds up into the mountains past Lyons Creek, through mature pine forest and ends at the private locked gate on the Property’s south boundary. 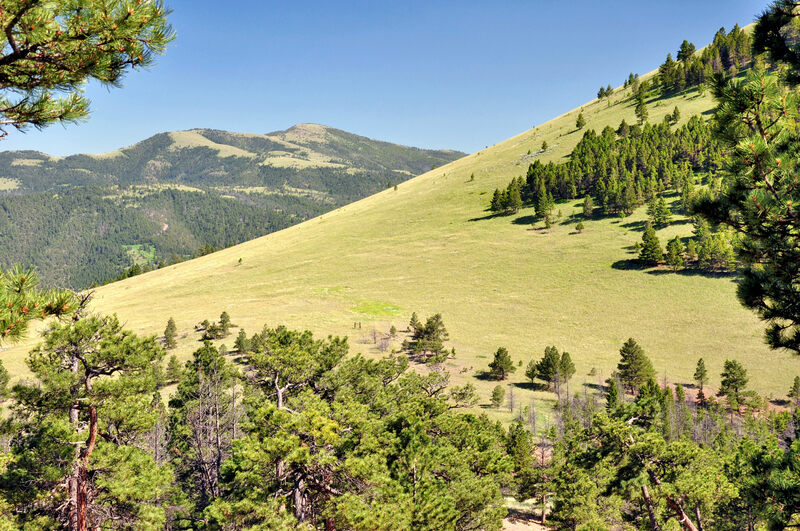 Punctuated by open meadows, mature stands of pine trees, benches and draws, the Property is a wildlife haven and encompasses all the attributes of a true Montana mountain retreat. 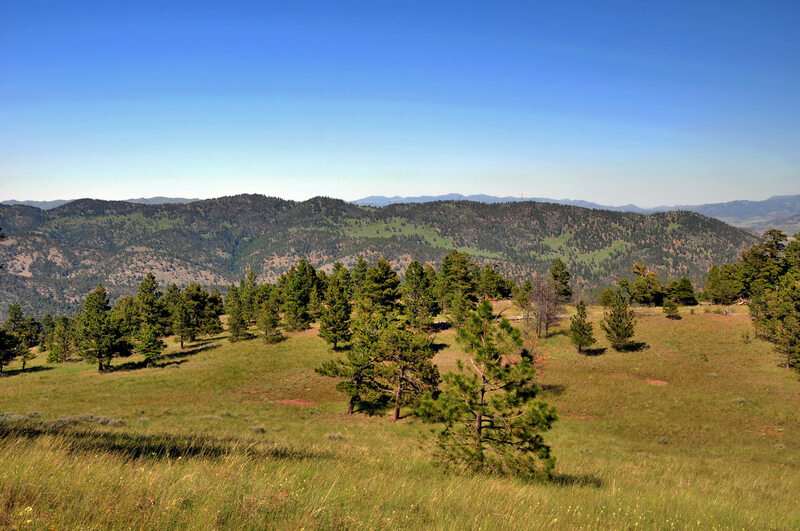 Bounded by a state section of land to the east and a large ranch to the north, the Property is regularly visited by deer, elk, black bear and the occasional mountain lion. Located in the heart of some of the country’s finest fly fishing, the Property offers anglers easy access to the trout-rich Missouri river and other nearby waters. 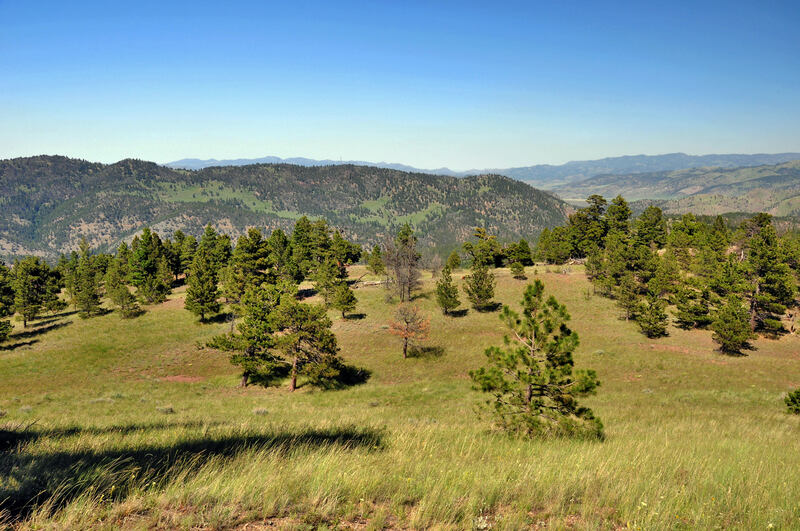 With numerous building site opportunities for a recreational cabin or a year-round home, the landscape offers many settings to optimize enjoyment of the serenity and amazing vistas. Minimal, but protective covenants safeguard the land and the owner's investment. Power is already provided to the lot line making for an easy residential connection through Northwestern Energy. 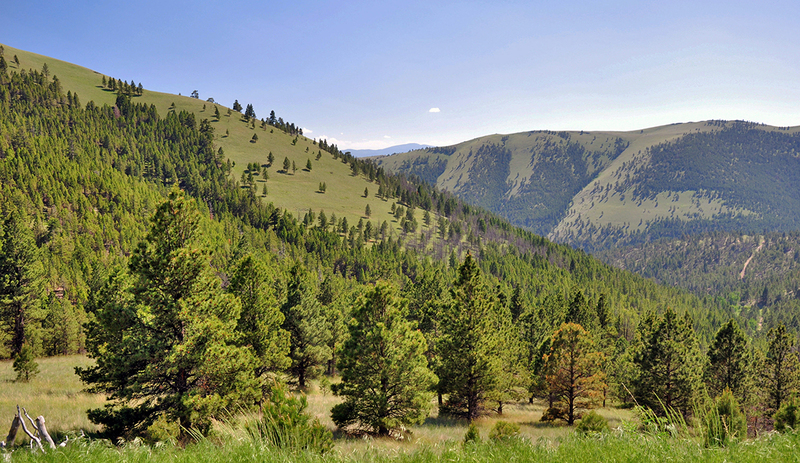 The unique combination of privacy and tranquility yet with easy access to amenities and countless recreational opportunities makes Lynx Trail Retreat an idyllic setting from which to enjoy all that Montana has to offer. 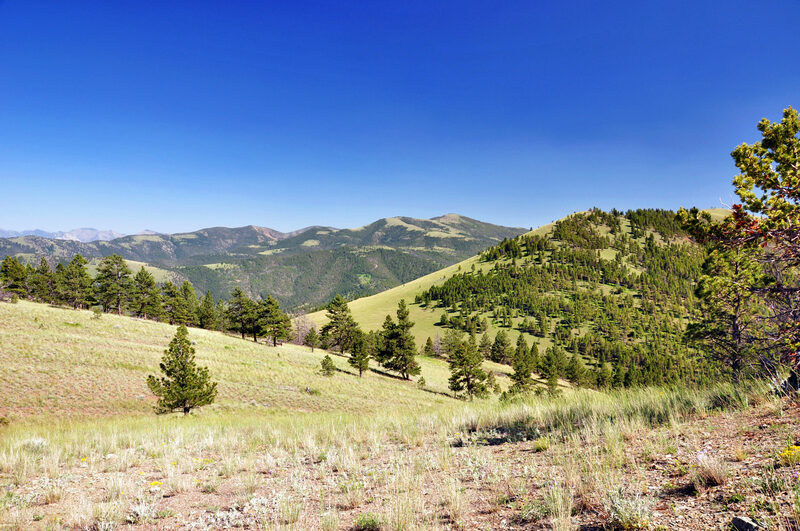 Located ten miles from Wolf Creek and just 34 miles from Montana’s capital city, Helena, the Property enjoys city amenities while providing a sense of solitude that rural Montana offers. The Property is easily accessible by taking Exit 219 from Interstate 15 North, or from the Recreation Road South from Wolf Creek, then continuing west on Lyons Creek Road for about one mile. Turn north onto Lynx Trail Drive and continue for less than two miles to the Property. 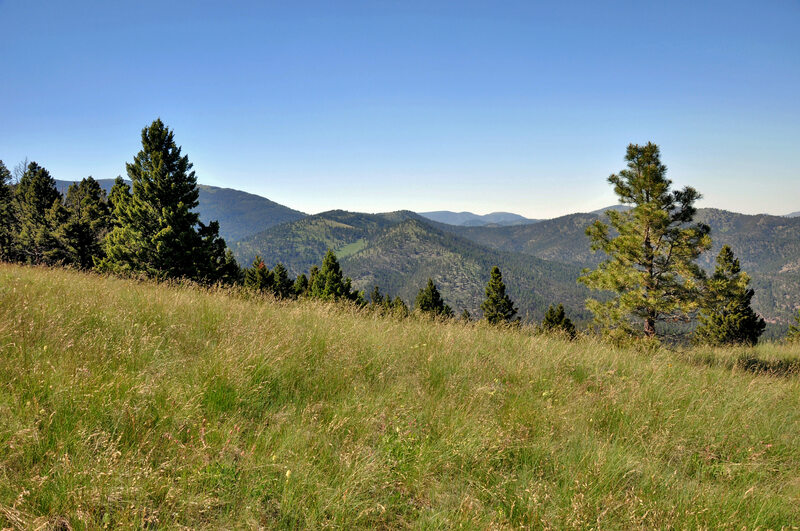 The Lynx Trail Retreat enjoys easy access to Helena Regional Airport. Commercial carriers include Alaska Air, Delta Air Lines, and United Airlines with service to Salt Lake City, Minneapolis, Denver, Seattle and Great Falls. Helena Regional Airport is also served by Exec Air Montana, a private, full-service FBO for smaller aircraft and private jets. For additional information contact Exec Air Montana directly at (406)-442-2190 or visit their website www.execairmontana.com. Comfortable day time temperatures in May, June, July and August average 78 degrees with evenings cooling to around 49 degrees Fahrenheit. The coldest months are December through March with daytime highs averaging 40 degrees and evening temperatures averaging 22 degrees. Fall day time temperatures average 66 degrees. The wettest month is typically June. Annual precipitation average is around 13 inches. 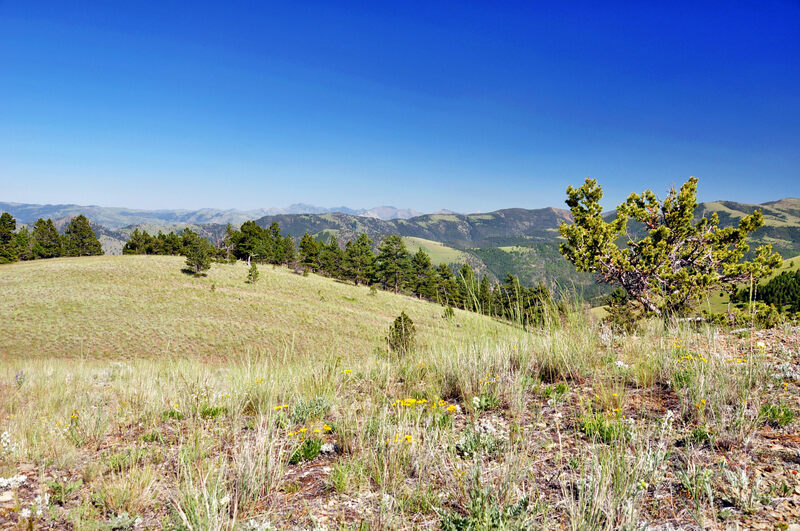 The Property sits at an elevation ranging from 4,620 feet above sea level near the south east boundary to 5,220 on the western portion. The real estate taxes for 2014 were approximately $168. Electricity runs to the Property and is provided by Northwestern Energy. Well and septic are to be installed by Buyer. 4G cellular coverage is available via Verizon Wireless. The Seller will convey the Property without reservation of whatever mineral, oil, gas, geo-thermal, hydro-carbon and gravel rights which he actually owns, subject to reservations by previous owners. The Seller makes no representation as to the quantity or quality of any mineral or other subsurface rights appurtenant to the Property. The next owner will certainly appreciate the easy access to the area’s diverse recreational opportunities. For the fly-fishing enthusiast, the Property is a short drive from the world-famous Missouri River. Considered by many to be the world’s largest spring creek with some of the most consistent dry-fly fishing anywhere, the Missouri River is less than 30 minutes (12.9 miles) from the Property. With a current trout population in the river below Holter Dam at over 5,375 per mile, the Missouri offers sport anglers endless opportunities for large rainbows and browns. The fishing can be easily accessed for a full day of float fishing or for the evening hatch, followed by dinner in Craig or Wolf Creek before retreating back to the solace of the Property. Additionally, nearby Holter Lake provides good fishing for rainbow trout, walleye and perch as well as a scenic pleasure-boating experience. 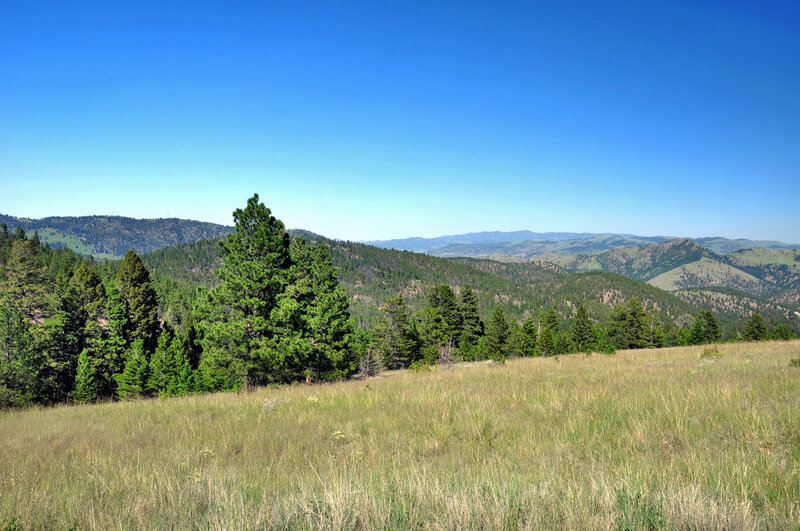 Located in Montana Deer and Elk Hunting District 423, hunting opportunities exist on the Property itself as well as on the adjacent State section and nearby national forest. Residents may purchase a general elk and deer license, and non-resident licenses are available in the General Big Game Drawing with licenses often available on a left over basis. In 1865, the Little Prickly Pear Wagon Road Company built a toll road along an old Indian trail through the Prickly Pear Canyon, also known as Wolf Creek Canyon. The following year James King and Warren Gillette purchased and improved this road which became the primary freight route from Fort Benton into Helena. In 1887, the Montana Central Railway laid tracks along this route through the Canyon. The town of Wolf Creek, which grew from Cartersville, a mile to the east, was established to serve the railroad. The Wolf Creek Hotel, built in 1887, was utilized by outdoor enthusiasts, railroad and stagecoach travelers, by workers who built Holter Dam in 1910, gas pipeline laborers in the 1930s and highway crews in the 1960s. Although the Hotel still stands, it has been restored as a private residence. Also still in operation today is the Wolf Creek Elementary School. Originally built in 1879, the school was named the Cartersville School and it stood about 1/4 mile from the present day location. After several floods destroyed the original school house, the present day school was built in 1910 and it also was the first year the school was operating during the winter term. Today this quaint rural school, with a current enrollment of about 16 students, offers a quality education for children kindergarten through sixth grades. Buyers’ Brokers are welcome and invited to contact Stephen Leibinger of Swan Land Company for information regarding Cooperation Policies.